Today we have this Ferrari F40. You may not know it, but Jay Leno is not a Ferrari guy. His collection includes cars from Lamborghini, McLaren and Porsche, but not any with the prancing horse on the badge. With the size of Jay’s collection it is amazing to think that he doesn’t own something like the above pictured Ferrari F40. 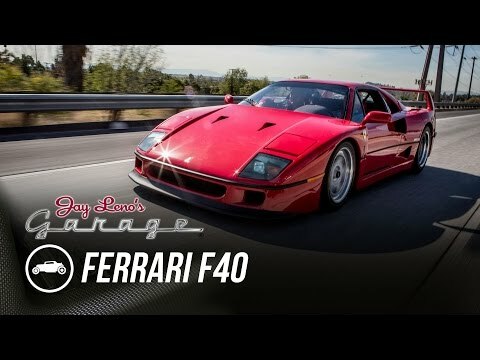 In fact Jay Leon’s Garage recently filmed him taking his first drive in an F40 after 29 years of waiting. The Ferrari F40 is perhaps the last great analog supercar. It doesn’t have all the computerized gadgets that help make you a better driver. When driving one it will expose your skill (or lack of it) for what it is. It may be from the ’80s, but it is still a very fast and brutal car. 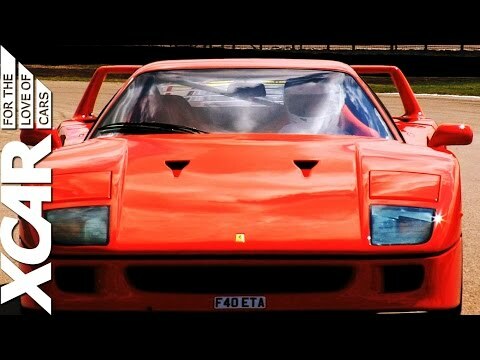 Unlike modern Ferraris, the F40 isn’t a refined work of art when driving it. From inside it looks like it was glued together with bathroom caulking. When you look at it up close it looks like something a few Italians did as a side project. However, the last Ferrari that Enzo Ferrari was involved in is a masterpiece. The way it drives and rewards good techniques is perfect. It may not be luxurious, but it is fast, has a great sound and has a sense of occasion to driving it. With its lightweight construction and powerful engine, the prancing horse is truly a race car for the street. It is a car that is one of the greatest vehicles ever made and a perfect salute to the company’s founder. The Porsche Carrera GT is a modern day legend. The V10 powered performance machine represents the best of the old style supercars. These days these ultra high performance automobiles are going the way of the hybrid. This has made them faster and more powerful, but they may not always be quite as much fun to drive as past supercars. This video features a Porsche Carrera GT with straight through exhaust pipes. It shows the car driving and captures the engine revs. The footage also features a Porsche 918 Spyder, 911 GT3, Ferrari F40 and a few Koenigseggs. Watch the video and then let us know which of these wonderful machines is your favorite.